Discount available! Recommend Open Motor Control - mounted to your friends and get your Discount. 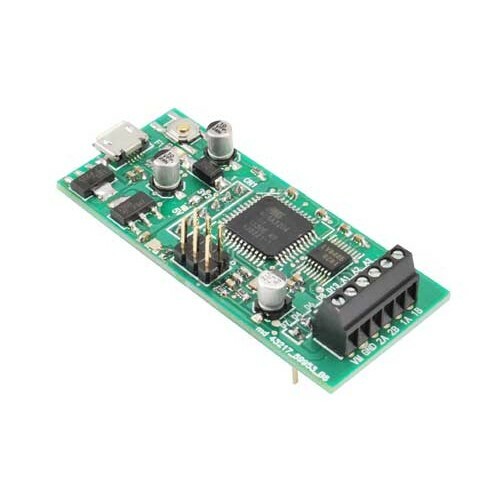 Based on microcontroller ATMEGA32U4, this module is capable of driving two DC motors or one stepper motor. The power supply for the DC motors can be comprised between 3 and 15 Vdc with an output current of 1.4 A (2.5 A peak) for the motor. It provides protection overcurrent and overtemperature. 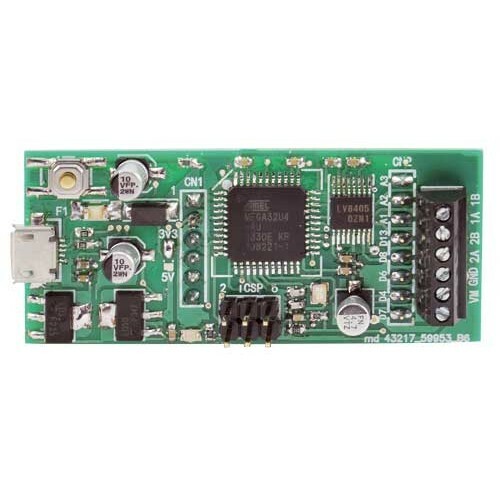 Can replace the driver mounted on 3Drag, thanks to pin-strip pitch compatible. 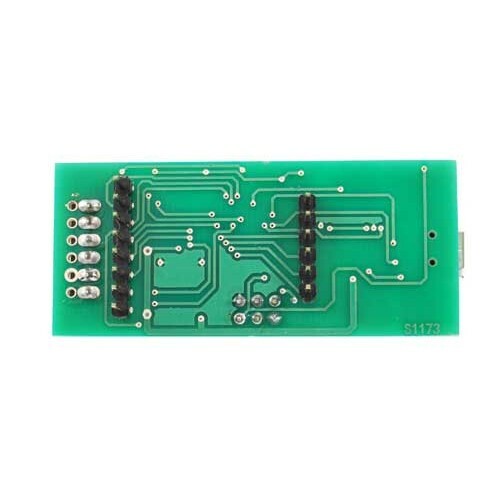 If we want to manage the controller via an Arduino board should use a software serial, using a single digital line to be connected to the RX line, so the serial port hardware will remain free to communicate with the PC. Sketching example is shown in Listing 4. This example shows how to build the control byte (byte2) starting on the settings of individual bits of direction and braking. It will be the line of code int mode = (modeM2 << 3) + (modem1 << 2) + (dirM2 << 1) + dirM1 to reconstruct the complete byte shifting and summing the individual bits. We will use subsequently four commands Serial.write to send the individual bytes containing the start character and the three bytes of data. 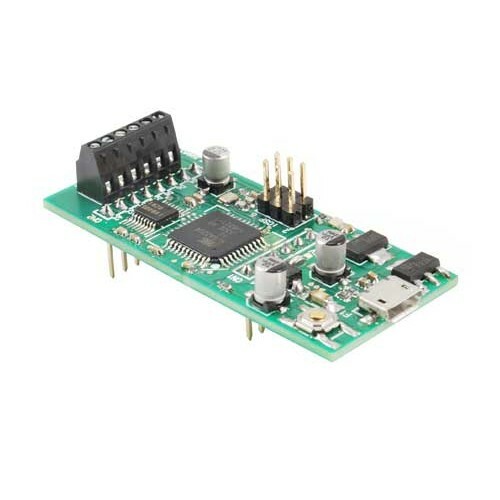 If you want to control the module OMC21 (Open Motor Control) through port TWI Arduino not need to do is connect the two lines SDA and SCL of both ports to each other and connect the GND of both cards. Do not need the pull-up resistors for the simple reason that they are already inside of Arduino UNO is that of 32U4 and enabled automatically as soon as the function is called Wire.begin (). For the sketch to use on Arduino UNO to command the controller to refer to Listing 5, which is very similar to the previous listings. But there is an important difference with the way we communicate via serial regarding the addressing system of the devices. While in a serial communication data exchange takes place point to point, ie only two devices communicating with each other, in the I2C BUS there can exist up to 127 devices to a slave type all in communication with the only master. 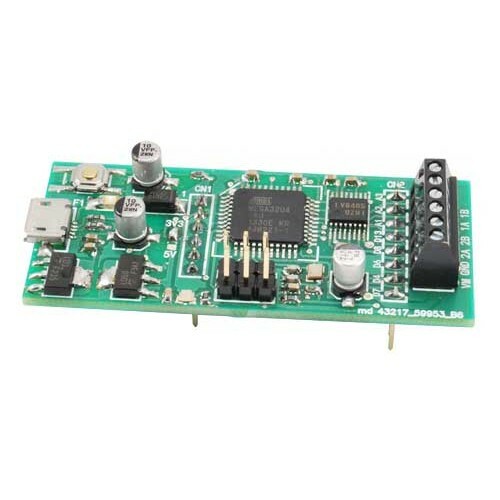 The master in this case is Arduino UNO (or control logic) while slaves are tabs Open Motor Control; The obvious advantage is that you can use multiple controllers and therefore more engines, all managed by a single Arduino board using only one port TWI. Recall that in the Arduino port TWI uses fledged I2C protocol but is owner of Philips, who invented it. In Listing 5 it is in fact present the line of code const int OMC21address = 4 that has the purpose to specify to which slave communication takes place; obviously BUS TWI will not necessarily coessistere other slave controller OMC21 engines. In the sketch OMC21.ino was specified as the default device address value 4 at will but this can be changed if youre use on a BUS perifierica that has already this address. If you use multiple controllers OMC21 will require that each has a unique address, then you will have to load on each controller a sketch in which you specified a different address. During program control then you will have to take into account different addresses assigned, to ensure the smooth transit of data. String portName = Serial.list(); //change the 0 to a 1 or 2 etc.